Last month I wrote about my experiences from the first part of the MOU summer internship. But I haven’t told you about the best part (personally at least) yet! Today, I’m going to let you in on the second part of the internship: volunteering. If you’re interested in North Korea and you like people, you’re going to love this. The first week of the second part of the internship began with the MOU March for Peace and Unification. If you’ve been keeping up with our blog at all, you’ve probably noticed that we have written about the March quite a few times now and I’d like to believe that it’s because it was that great of an experience. The March lasted for five days from July 26th to the 30th and consisted of Korean college students, high school students, and middle school students (and of course us foreigners). Each group was then divided into smaller groups of 10-15 members with one team leader each. The March was divided into two different routes: the eastern route for the college and high school students and the western route for the middle school students. The total number of participants this year was 300, 100 from each age group. The great thing about the March was that it gave me the chance to visit almost all of the most important sites in South Korea that is related to North Korea for free and in one trip. And another thing was that it constantly put me outside of my comfort zone, and everyone needs that once in a while because it stimulates growth. One example is the showering situation. If you’re not Korean then you probably haven’t showered with a dozen other women (or men if that’s what you are). But during the March, you’re going to have to. I know what you’re thinking: NO WAY. But before you ditch your thoughts on applying for the internship next year I’ll just say that if I got through it, anyone can. And besides, near the end you don’t even notice anymore. At the end of the day, you’re going to be more concerned about getting the sweat off of you, trust me. I mentioned above that we were divided into smaller groups. The group that I was assigned to was… amazing. I LOVED my group. Now, I’m the type of person that takes time to open up to people and get used to new surroundings. I’m nice when you come up and talk to me but I’m usually not likely to go up and talk to you first. But I was able to connect with my group members almost immediately. We definitely bonded and had a lot of fun. We still keep in contact even though the March has long been over. Actually, we’re getting together again at the end of December to catch up! Since other interns have written about the march already, I’ll refrain from boring you with more details. 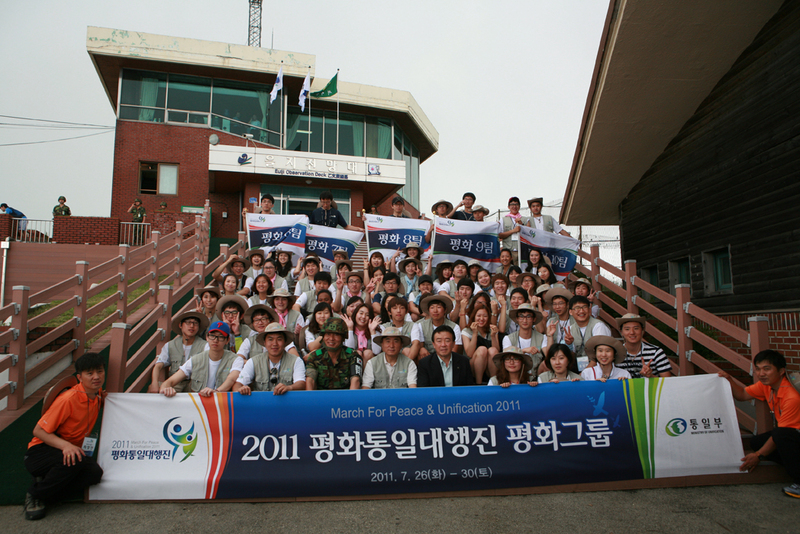 If you read and understand Korean, you can visit www.march4peace.kr for more information on this year’s march. There’s a bunch of pictures there too so you can try to spot me! If you don’t know Korean and would like more information regarding the March (and really, anything else about the internship) please always feel free to email us at mou.correspondents@gmail.com. 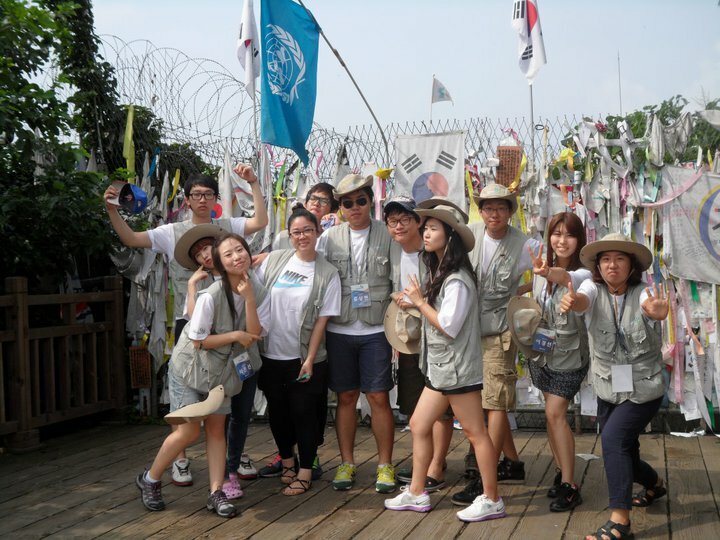 After the March for Peace and Unification, we volunteered at various Hana Centers in and around Seoul. Hana Centers are branches of the Ministry of Unification that help defectors with their resettlement needs in specific regions of Korea. During this week, another intern and I were able to help the office by translating some of their documents into English. 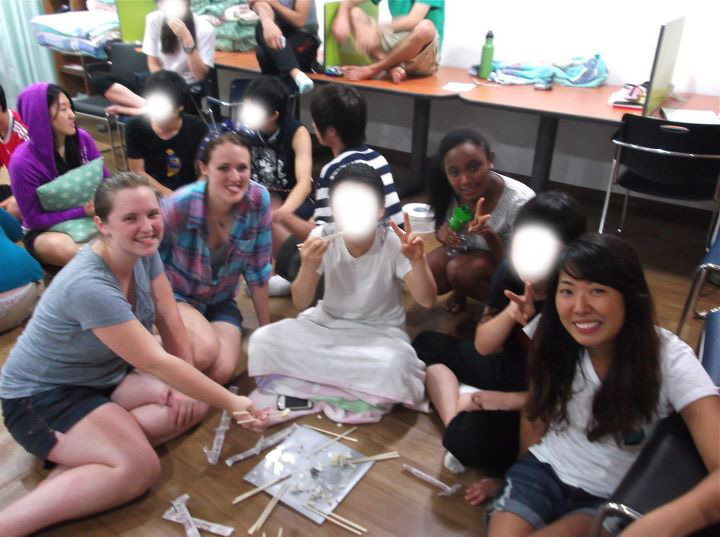 We also helped deliver food to the elderly and taught English to defector children. The center’s manager that we met there gave us advice and insight on the North Korean issue and even went out of her way to introduce us to two defector college students. It was through this meeting that I was able to meet a lot of people that have all become very dear friends to me now. I’ll write more about this next time. 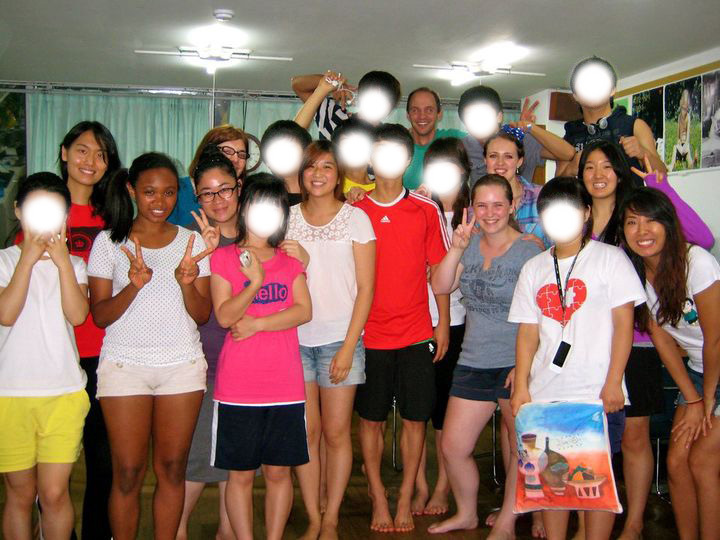 After the week at the Hana Centers, we traveled to Hangyeorae High School and spent two weeks living there as English volunteers. I know that you’ve read plenty about this as well but let me just say that I met some of the funniest, outgoing, and just plain wonderful kids here. It’s not easy living in the middle of nowhere for two weeks in a completely new environment but we got through it with no problem at all with the help of our kids (and VERY frequent walks to the convenient store for sweets). I would say that the most important aspect of this part of the internship is the people you get to meet and the relationships you get to build. If you’re interested in human rights, then you know how important it is to keep your focus on the people and not get lost in the politics. That’s what this part is all about. It encourages you to meet the actual people you are fighting for and others who are fighting with you. I have made some very important relationships through this time and it is through these people that I am reminded every day of the reason I am fighting for North Korean human rights and the unification of the Korean Peninsula. So this is the MOU summer internship. I hope that you sincerely consider applying for next year’s program. It’s definitely played a major part in getting me to where I am now. Who knows what it can do for you. This entry was posted in Articles and tagged Hangyeorae, Hangyeore, Hangyuhrae, human rights, internship, march, March for Peace and Unification, Michelle, ministry of unification, MOU, north korea, summer, Trujillo, unification, volunteer by MOUonekorea. Bookmark the permalink.